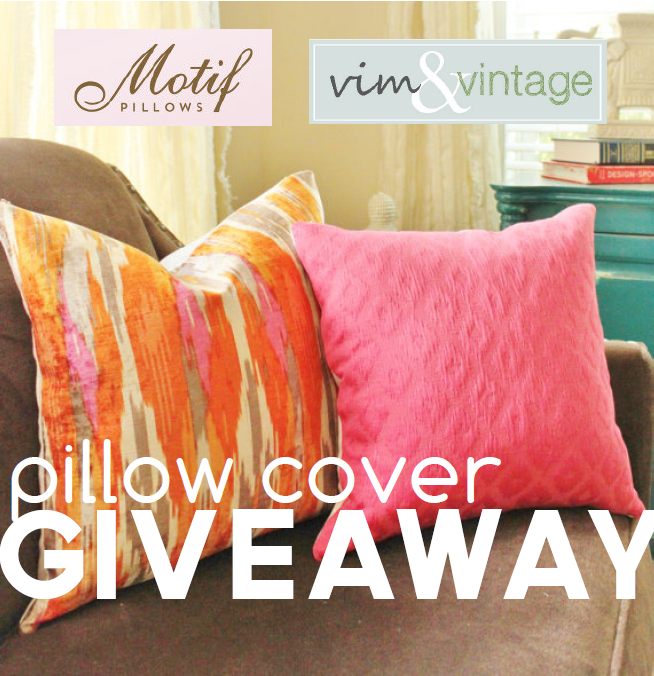 GIVEAWAY: win a free pillow cover from Motif Pillows! | Vim & Vintage - design. life. style. LOVE LOVE #6, 17, 14 and 7! 7, 9, & 11 would look great in my living room! #4 stands out to me. It screams “spring” in volumes. I would put it on my favorite reading chair. #3 reminds of little girls on Easter. Dressed in their Sunda best. Love it!! 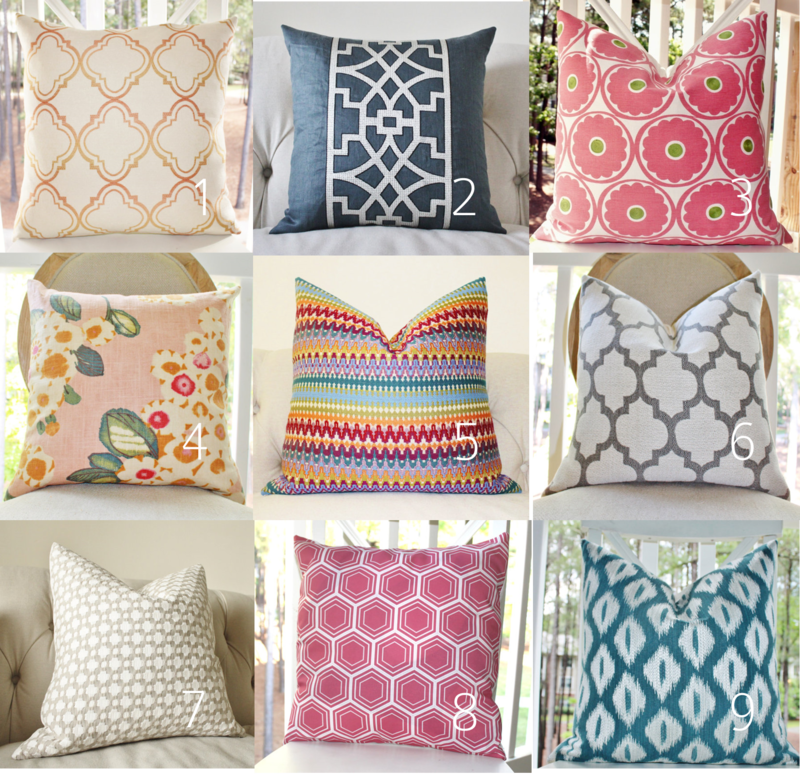 Number 1 is perfect because it is a neutral and it goes with everything… and that helps when you can’t decide on which pillow to accent your room in your home. The pillow is unique and it is nice to have unique pieces in your favorite room because it is something that is special to you. I would definitely add this pillow to my living room as I already have a cream colored couch that would go well with it. I love #13! It would be the perfect splash of color my bedroom is in desperate need of. Number 11 would go best with my off white sofa. Love your website! 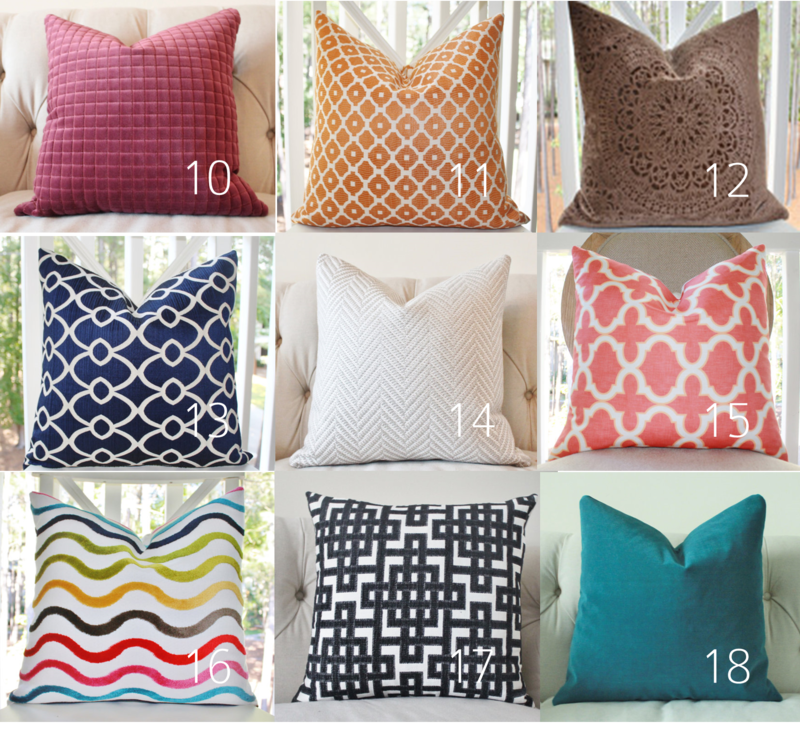 I’d love number 13 because it would be a fabulous pop of colour against my black lounge, tv and coffee table!! Love all of them, but #9 would go best with my style… Probably put that baby in my office on my white chair. Love your blog Vim&Vintage! I ❤️ all of them but I think I would go with #5 and put it in my bedroom. It would go great. I Love the item #14 and would use this on my chocolate brown sofa1 Thanks for ahring this fabulous etsy shop and their products!!! I so want to win this!!! I love #2 and #4!! I love pillow number 6. I love #7 and #14!! I love #4 it would look lovely on my bed.